Salomon PowderQuest just got that much better, a new iPhone application for freeriders, designed to provide you with the most accurate new snow forecasts for Europe and North America and helps you discover the best freeride routes. PowderQuest is about finding the deepest snow, exploring new areas and sharing the experience with your friends. NOT JUST ANOTHER WEATHER APP! When it comes to the most accurate weather reports combined with best freeride resorts, Salomon PowderQuest delivers. We don’t just take weather report feeds, we have our own personal weatherman report- ing where it will snow. 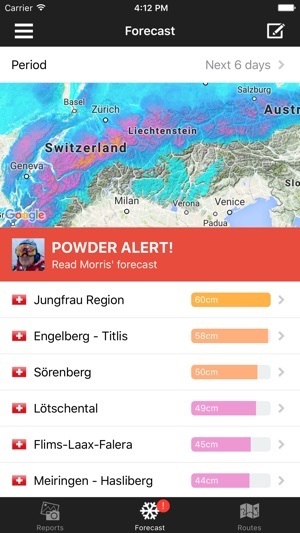 With Morris our weatherman, powder is guaranteed. We've added over 700 freeride routes! The routes are great for inspiration, not for navigating in the mountains. Always use a topographic map, check the local avalanche bulletin and ski or ride with a certified guide. 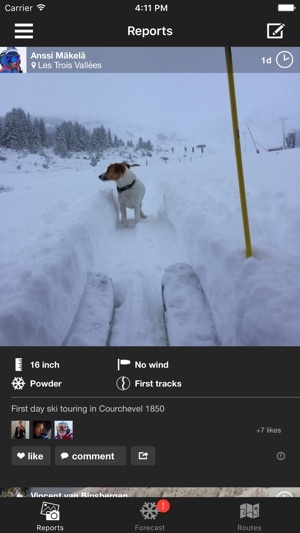 However, the routes in PowderQuest allow you to easily see if the freeride routes in a resort are suitable for you. 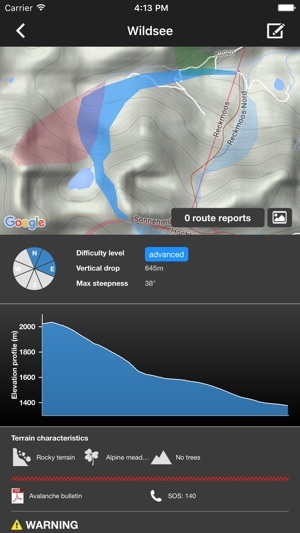 You can send updates about the freeride routes (just like the local reports) as well. The routes are great for inspiration, not for navigating in the mountains. Always use a topographic map, check the local avalanche bulletin and ski or ride with a certified guide. However, the routes in PowderQuest allow you to easily see if the freeride routes in a resort are suitable for you. 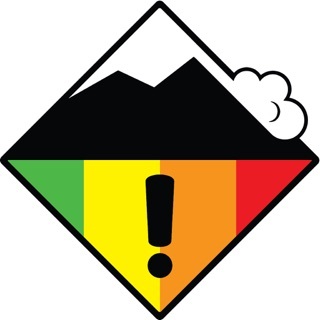 You can send updates about the freeride routes (just like the local reports) as well. THE REAL-TIME REPORTING AT YOUR FINGER TIPS! Good job. But please keep the map area fixed to my current zoomed region when I change the date filters. For example, when I switch from 3 days to today’s forecast it resets to the entire US map area. This isn’t very practical as I need to zoom again to the resort/region I’m concerned with. I downloaded after getting a promo email from Salomon. Well-designed graphically, but come on-- an opt-in app that makes you join from their site via Safari? Even there it took me too much time to sign up. Once I did, I found this only covers European resorts. What a waste. Make a US version and you have a chance. 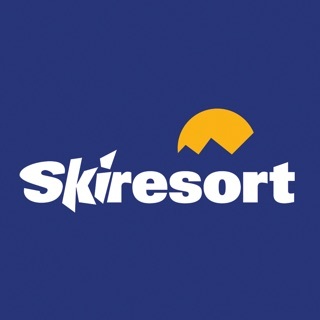 This app is good for freeski tv and general snow forecasts but almost never updates resorts in the U.S. If your in the u.s. Get another app for snow totals, but its great for everything else.